Are you looking for: Frozen, Tangled, Moana, Little Mermaid. Frozen Elsa, Anna as well as Rapunzel, Ariel, Cinderella and all their friends await your child in our extensive selection of Disney Princess Toys. When you shop our online toy store, you will find Disney Princess Toys for kids of all ages. We can also ship your Disney Princess Toys to your front door. Treat your child a magical surprise with new Elsa or Anna from Mr Toys. Many little girls at one time or another dream of becoming beautiful princesses who are rescued by a handsome prince. The closest they can get to making these dreams into reality is by playing with Disney and Disney Princess Toys and Dolls and dressing up in princess dresses. These dolls have so many features incorporated into them and it will make your little girl feel like she is whisked away to a magical land when she is playing with them. You can never go wrong with this gift selection when you are thinking of a present for your little girl. There is a wide variety of Disney and Disney Princess Toys and Dolls for parents to choose from on the market today. To make the gift even more personable for your child, you can select dolls that are closer to your child’s own personality. For instance, if your little girl is very caring then you may try Cinderella or Snow White. 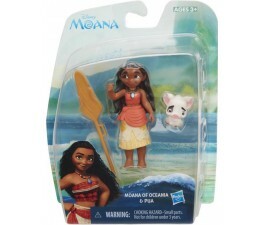 If she is more adventurous and loves to sing, then selecting a doll like Ariel or Moana might be a better choice. If your little girl has most of the Disney and Disney Princess Toys and Dolls already in her collection, then you can purchase various gowns and clothing that she can dress the dolls in. Many of these dolls will come with two dresses; adding more to the collection will only increase the fun. Remember, kids love to dress their dolls for all kinds of occasions. To enhance your daughter’s Disney and Disney Princess Toys and Dolls collection even more, you can get characters from a particular story that she loves. For instance, if your daughter has the doll from Cinderella, then finding Prince Charming to go along with her would be an excellent gift! You can even find other characters like the mice and birds, or what about purchasing the amazing Carriage? No matter what you buy in the collection, the options are endless. The Disney and Disney Princess Toys and Dolls are an excellent investment with many fun and imaginative benefits and features. Not only that, but they are built with quality and durability. These dolls command special attention that all little girls love to give. There is a great deal of effort that goes into the design of each and every Disney Princess Doll and accessory. Only the finest gowns with the best cuts are used, and every little detail has been attended to. These dolls are great value and are an excellent gift for your little one.